I like to give you the DETAILS. The WHY and HOW of it all. In detail. Did I mention detail? But I get it. You are busy. You’re exhausted from work and your eyes start crossing after 300 words. Or you have ADD. Whatever the case, here’s a summary of the article, after which you will find the longer version. Share YOUR methods for being successful in difficult situations, whether mental difficulties or physical/situation difficulties, in the comments below- will give other hCG ladies ideas on how to troubleshoot! In all the excitement of learning that you can lose all your excess weight so quickly, the rest of the details about eating only 500 calories and forgetting that most of us eat for many other reasons other than just hunger go out the window it never occurs to us that it could be a challenge. Fast does not equal easy. This protocol can take quite a bit of self-control and self-discipline to complete. I think the most important thing that is a “solution” here is just to actually realize that this will be hard and to make whatever life adjustments that you can accordingly. It’s called being modest. If you modestly accept to yourself that you are NOT superman or superwoman, and that you need to make adjustments to your life in order to create a pathway to success, I feel the majority of will have a higher chance of succeeding this way. Check your calendar and make your decision about when to start and end the round based on your schedule. Find a time that is as clear as possible of anything that involves getting together with a bunch of people and a bunch of food. Anyone that you’ve been thinking you need or want to see, or anyone wanting to see you. Either do it before you start the protocol or make a definite date with them after your round is over. Since you are spending SO little time eating on this protocol, it’s important to fill up the time you used to spend doing this with something else- something that will be fulfilling for you so you will not end up eating when you’re bored. Just finding something to do that doesn’t involve eating that’s a satisfying activity for you can make a huge difference. Perhaps you already have a totally full schedule because of your work or other obligations in life. If that is the case, see if there is any way that you can take out just small chunks of time here and there do something relaxing for yourself to keep you centered. Usually the diet does NOT feel hard every single day. Try to remind yourself that acute feeling of how hard it is at that moment will soon pass. Lots of Tea. With Stevia. Main Article- Let’s Get Nitty Gritty Shall We? This is a series of 7 blogposts addressing common causes for failure on the HCG Diet, and thus how we can succeed. You can see my overview of the 6 basic reasons for failure I outlined in the first post to get us started. So let’s dive in to Reason #1 and how avoid the problems that can come from it. This is very common for hCG newbies, and don’t feel bad if you are one of those that got derailed by this. Before you experience it, it’s easy to think that you can do something like this no problem. In all the excitement of learning that you can lose all your excess weight so quickly, the rest of the details about eating only 500 calories and forgetting that most of us eat for many other reasons other than just hunger go out the window it never occurs to us that it could be a challenge. But a challenge it IS my friends! I have said it before and I’ll say it again- fast does not equal easy. This protocol can take quite a bit of self-control and self-discipline to complete. Example 1: I’ll use just one little experience I personally had. Most people like cashews and I do too, but it’s one of those foods that’s more like, “eh, I could take ’em or leave ’em.” Halfway through P2 there was a jar of cashews in our house and suddenly they seemed like the thing I most wanted to eat in the world. I finally gave in and cheated on the diet by eating a bunch- it was so satisfying- for all of 20 minutes until I realized what I’d done and how not worth it it really was. Example 2: A social gathering that has a bunch of pie, cake and potato salad. Normally if you were not on this protocol and just trying to be healthy, you could pass that up and fill up on whatever meat and salad offerings they have, and perhaps even bring some of your own alternative baked goods (check out hCGChica’s Sugar Free Dessert Recipes pinterest) and you don’t have to have that deprived feeling. But on Phase 2 the story changes. You go to that same gathering and not only can you not eat anything there, you also can’t “fill up” on anything else either. You’re only allowed maybe 250 calories for that meal of the day and you are certainly not “full” when you’re finished eating your spinach with dashes of vinegar and 100 grams of chicken breast. It’s a very different feeling when food is pretty much off limits entirely (but at least to get you through there ARE some P2 desserty/drinky ideas on pinterest here). I’m not trying to paint a somber picture to make you feel like this protocol is impossible to do, because that’s not true. MANY MANY people are doing the protocol with success and maintaining that success (check out the private HCG Diet Interviews I’ve done). But I do think it’s important to let you guys know realistically what the diet can be like AT TIMES. In order for me to get through a round successfully, I have to plan in advance not to have anything major going on during that time and to save most social situations for before or after P2. Not everyone may feel this way, but I find it too emotionally and mentally exhausting to constantly be in tempting situations while on Phase 2. The times I have allowed myself to go through this I have suffered the consequences (bad cravings, cheating, wanting to give up etc.) And you will often find that what defines “tempting” while on P2 encompasses many more situations than when you are in regular life. Once you allow yourself to get to this point of having cravings, etc. your chances of cheating or quitting go up- it is better to avoid causing these feelings to arise in the first place when possible. I think the most important thing that is a “solution” here is just to actually realize that this will be hard and to make whatever life adjustments that you can accordingly. It’s called being modest. Which is totally opposite of what we’re raised and trained to do in this world. We’re taught to think that nothing can get in our way and that we can succeed no matter what. Which, in a way is true, BUT if you take that kind of mentality too far, it can get you in trouble. If you modestly accept to yourself that you are NOT superman or superwoman, and that you need to make adjustments to your life in order to create a pathway to success, I feel the majority of will have a higher chance of succeeding this way. As an illustration- what if you were told that you were going to run a marathon with several people, and each person would be running on their own personal trail. It would be timed, so winning is based on speed. Each of you are assigned a trail, and yours is completely overgrown with trees, bushes and weeds. You are allowed to groom the trail in advance if you desire. Your choice is to pull out your machete now and make sure your whole path from start to finish is free and clear so that you can run like the wind, or figure to yourself that it can’t be that bad, you’ll just bring your machete with you on the marathon and cut your way along as you go. You decide on the latter. Once the marathon starts, you discover that you have to stop every 15 seconds to knock down what’s in front of you with your machete, and this constant delaying of your travel time, getting exhausted from whacking away at huge roots, along with the fact that the darn machete is REALLY heavy to carry while running (not to mention dangerous), you realize you will most likely finish dead last, if you get there at all, in which case you feel like maybe you should just give up entirely. It’s smart to think ahead and not be foolish about what we think we can do. This doesn’t mean we won’t achieve life-changing things. With this weight loss protocol you can! But you will increase your chances of achieving this in less time, with less heart-ache, and less strain on your body by being humble enough to recognize your limitations. Check your calendar and make your decision about when to start and end the round based on your schedule, not your heart or emotions. Find a time that is as clear as possible of anniversaries, holidays, vacations, anything that involves getting together with a bunch of people and a bunch of food. Sometimes this involves thinking more with your head and waiting a few extra weeks. I KNOW this is hard- I’ve been through this myself, but I’m telling you guys, I’ve seen it SO many times- you have a vacation planned in 2 weeks, but you want to start hCG, and because you’re emotionally anxious to start losing weight you decide to start this protocol and tell yourself you’ll somehow stick to P2 while on a houseboat filled with chips, beer and your 4 best friends. It’s just not going to happen…unless your superwoman, which I am not. I understand that emotional feeling of feeling overweight and wanting to do something about it right now! But logically your odds for success will increase if you also approach it realistically. This again calls for planning ahead. Anyone that you’ve been thinking you need or want to see, or anyone wanting to see you. Either do it now and get it out of the way before you start this weight loss journey, or make a definite date on the calendar with them for after your round is over. This will help ensure your family/friends/extended families feelings are taken care of to help minimize hurt feelings. Since you are spending SO little time eating on this protocol, it’s important to fill up the time you used to spend doing this with something else- something that will be fulfilling for you. This is a good thing to try do especially because this is a tool that will help you in the long term as well. Many of us eat because we’re bored, or because eating is the most satisfying thing we have going on in our life at the moment. Perhaps you don’t know exactly what activities for you can be enriching- since we’re all unique what calls to each one of us will be different. One thing that you can start with though that will most definitely help both you and others is to get involved in the hCG Diet Community. Watching hCG vloggers on youtube, making your own weight loss protocol vlogs, commenting on vlogs, receiving comments on your own vlogs- this is really an important vehicle for support that will help you through the hCG Diet Plan. If you’ve been thinking about doing this but don’t know how, I made a little How to Vlog on Youtube for hCG post. I hope to make something more in-depth on this topic in the future to help you guys with this. Additionally, your helping others on the diet by watching and commenting on their videos does a world of good for them! This kind of give and take support is one of the real blessings about the hCG Community that many have experienced. If you are shy and just don’t want to go that route at this time, that’s perfectly alright. Just finding something to do that doesn’t involve eating that’s a satisfying activity for you can make a huge difference. I often will spend time updating my own personal family blog or doing some sewing that I usually don’t have time for while on the protocol. Perhaps you already have a totally full schedule because of your work or other obligations in life. If that is the case, see if there is any way that you can take out just small chunks of time here and there do something relaxing for yourself to keep you centered. One of my favorite things to do when I’m feeling rundown is to take a very a hot shower. I just hang out in there. Something about this, when I get out I feel more peaceful and calm. I also love look at videos and photos of my family and add them to our personal family blog. Lastly, I love to cuddle with my family. My son and my husband all snuggled into our king sized bed gives me a very cozy homey feeling that is very relaxing for me as well. What can you do even if it’s only 10 or 15 minutes that could give you some refreshment and remind you of what you want out of your life? Much of the time when the diet is feeling especially hard, it is mostly the worry that it will keep feeling this hard that is intimidating. It’s easy to wonder if you’ll be able to make it through the 6 weeks if you’re going to feel this crappy every single day. Barring other health reasons for feeling like that (which is reason for failure #6 btw which we’ll talk about later), usually the diet does NOT feel hard every single day. Usually it’s more a case of you overdoing it one day, or perhaps some carb or sugar withdrawals. But this often passes in a day or two, maybe 3, and then you will find that the protocol is not so bad many days. Try to remind yourself that acute feeling of how hard it is at that moment will soon pass. 6. Lots of Tea. With Stevia. See my short blogpost on teas I love. 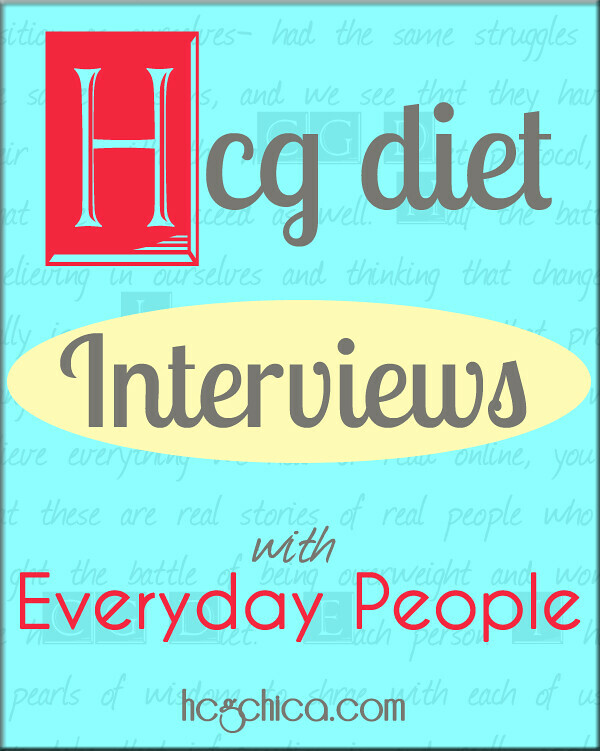 For a little inspiration on what can be achieved, check out the hCG Diet Interviews – over 60 episodes now of successful weight loss stories with hCG. In the comments below, I’d love to have you share any little tips and strategies you have personally used to be successful with sticking to the hCG protocol- whether it’s something that helped you mentally/emotionally, or a tactic that helped out in a physical situation (like social stuff). the Phase 3 hCG Maintenance Program - A few details to prep ya'll! Yes, there are some alternate protein sources that you can eat on Phase 2 and as long as you don’t stall or gain when you eat that food then some add that to their protocol. I hope that helps somehow! Thank you for being here! I am watching the 6 ways to avoid HCG Set Backs. In the first 5 minutes it identified my frustration. Eating correctly and not loosing weight. I need to loose 25 lbs and have been on program for 7 days and lost 7lbs but nothing yesterday and only 1/2 lb per day for the two days prior. I find that there is a answer for everything from you… Love the hard copy book and using it and your NuImageMedical with Pellets.. Doing well. I am R1P2 Day 21 with 16 lbs. down and hopefully I’ll get 10 more down before P3. Spent a great deal of time researching this diet, bought recipe books and mentally prepared myself for the journey. I found out on day 15 I really wasn’t prepared. I began a stall and then an increase or two on weight. I read a bunch of blogs where people were POP and had the same issue. So I began to really evaluate what I was eating and how much. My husband had bought me a scale for my food (speaking of him he is not on HCG and has lost 12lbs. men always have it easy). Anyway I was measuring my food the first week and began “eye balling” my portions. I also began to slow down on the water consumption whereas I would drink close to a gallon a day. Well the inaccurate portion sizes and my lack of water was really the issue. I never did an apple day because I read that was mostly water and did not want a false reading. I did not cut out melba or fruit as I read this can sometimes be an issue in P3/P4 (read it here). So I stayed steady and kept on plugging. Only I found ways to drink more water and started using that cute little scale my husband gave me. After a 5 day stall I dropped 2 lbs. So I guess when you think you are POP best to check up on yourself and start from scratch! I also have made another boo boo in my weight observation. Now I weigh myself every morning (bare) and close to the same time after releasing bladder. Then I would sometimes measure and here I where I goofed. I am obsessed with getting my hips and thighs smaller so I only measure here. Then one day my husband noticed my back and how the large rolls were disappearing and nearly gone. My daughter saw a difference and this was all during my stall. Now today as I write this I threw on my regular work pants and are struggling to keep them up! So be careful when measuring and maybe a stall isn’t a stall after all! I am nervous about P3/P4 and gaining weight. I assume I may gain back 5lbs so I am shooting for below my target weight in P2 to compensate. But I see a lot of people revisiting this diet not for additional weight but to “redo”. That makes me nervous. I am 45 years old with a total hysterectomy and my metabolism was non existent prior to this diet. So I am over elated at my progress but am terrified of a rebound. How many people do rebound? Is it common? What are the common mistakes? By the way this blog has saved me and helped with research as well great job! I’m so sorry for the long delay- you probably already made a decision about this now that it’s been months, but for future reference- many see the need to redo the diet because they failed to maintain their weight loss. Please help! My periods are erratic. I am not 100% sure when my next one will be. If it starts 5 days into P2 will I be messed up? What is the consequences? Will it be less overall weight loss for the round? I am anxious to get started but do not want to sacrifice overall weight loss or momentum especially when weight loss is rapid in the first week. 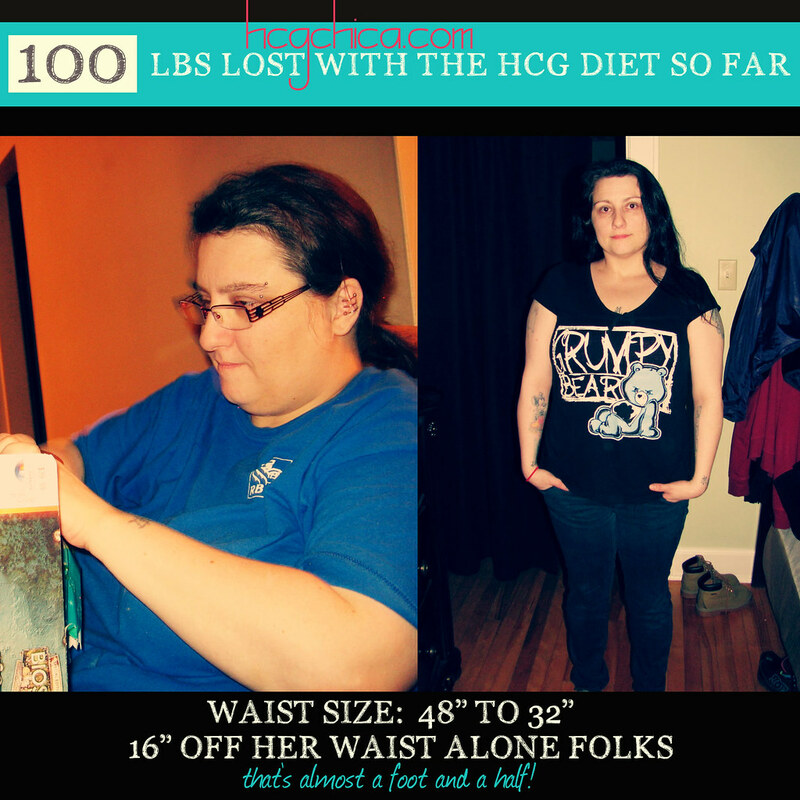 I am desperately wanting to start HCG but I have been waiting for my period to finish. Unfortunately I’m on Day 20 of my period. I know! 20 days is ridiculous! Is it okay to start it now. My period has slowed down but hasn’t stopped. I want to lose as much as possible within the next 25 days before I go away. This is a very timely video. I went to a grad party while on P2 VLCD1 yesterday. This is my second round (I lost 23 pounds and 2 whole sizes in my first round about 4 months ago). I had planned for this, and told myself I was only staying for about 30 min. It was a shrimp boil, so I had planned to have my meat there. I sat with friends, peeled my shrimp, squeezed the lemon, and …. Success! I drank club soda with a lemon and a splash of red crystal light out of a fancy glass, so everyone thought I was having a cocktail, and only I knew that it was a zero calorie, but mentally satisfying and delicious drink. I was not tempted, and I left after about an hour of wonderful visiting, but did not stay long enough to set myself up for cheating while there, or bingeing once I got home. Extra Helpful Tip: I left before they cut the cake! PS. I love teas with stevia too. The whole process– getting a pretty cup, filling the kettle and waiting for it to whistle, dunking the tea bag, and sipping a different delicious drink every time calms me, the craving or restlessness passes, and it is a good example of “me time” that doesn’t take much time or any money. Thanks hcgchica! You rock!!! Hey Mo- SO glad to hear you handled the situation so well! It’s nice too when you can kind of find a way to “blend in” like you did to avoid nasty questions. :)- I so agree re the tea- it’s much more than just the taste it’s the whole comforting experience. Thanks so much for commenting! Thank you. I can sooo relate to most of the things you spoke about. I don’t have any socializing that involves food during my 500 cal. Time. I can not have peanut butter or cashews in the house at all or I set myself up for failure. This is round 6 for me since I have not been good about smart eating between rounds. I am down 20 lbs. with 10 days left and a whole new outlook on the future. Total loss, 53 lbs. Good for you, you are being very smart about it then! Yeah what is it about nuts that suddenly seems so wonderfully delightful on P2 lol. It sounds like you are on the right track and know what to do for long term success now so that is the key. Thanks so much for commenting too! Wonder if you had any insight on the following questions: Is it okay to go beyond the 40-day mark (skipping every 7th day) on P2 if one has continued losses? Would stabilization be affected by going beyond 40 days? Hiya- I’m actually writing a post on this as we speak- so funny the timing. In it I’m basically sharing that some have successfully done longer p2’s and such- the key is that the person continue to be in good heath and be mentally motivated- if one of those things is off towards the end of the round, things can go downhill fast. I hope that helps. Several individuals who have done longer rounds have been able to stabilize well as far as I can tell so that shouldn’t be a problem. The handcrafted hCG Diet Workbook, JUST for You. An ACTUAL PLAN for P3. No more wondering. Help deciding where to buy hCG and what to buy.